Some situations require correct settings only. Here's a list of frequently asked questions which can be solved in a minute. I have a problem with importing the theme into my eshop - the ZIP file seems to be invalid. Please try to unzip the ZIP file and then zip the "config.xml, themes" again together. After that try to import the new ZIP file again. 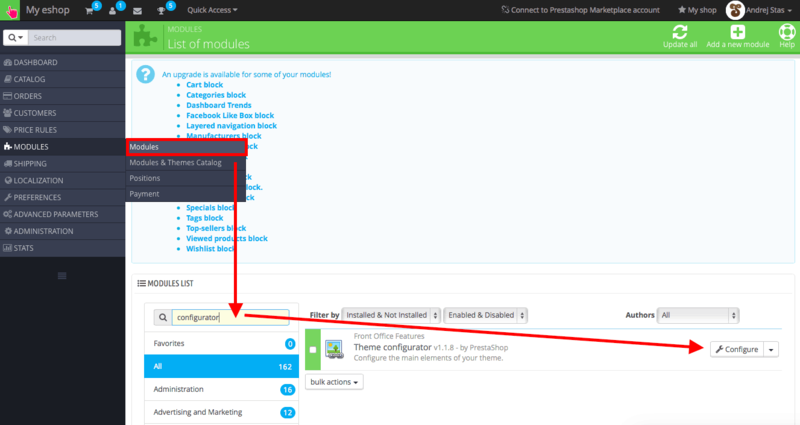 Is there any alternative installation process which would keep the settings of modules? I have an idea how you can easily change the theme without changing settings of the modules. Can I install other language than English? Definitely! 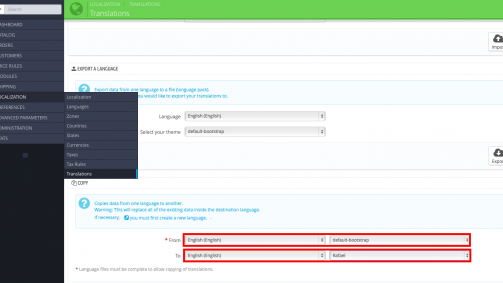 Themes from Theme Maker work standardly with any language supported by Prestashop, you can find the whole list here. 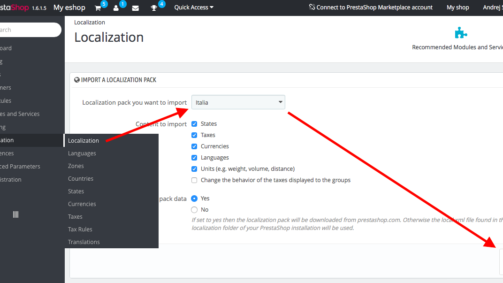 Go to your back office > Localization > Localization and pick the country whose language you want to install. After installation of the new theme the language translations seem to be not complete. Some words are in a different language. What can I do? 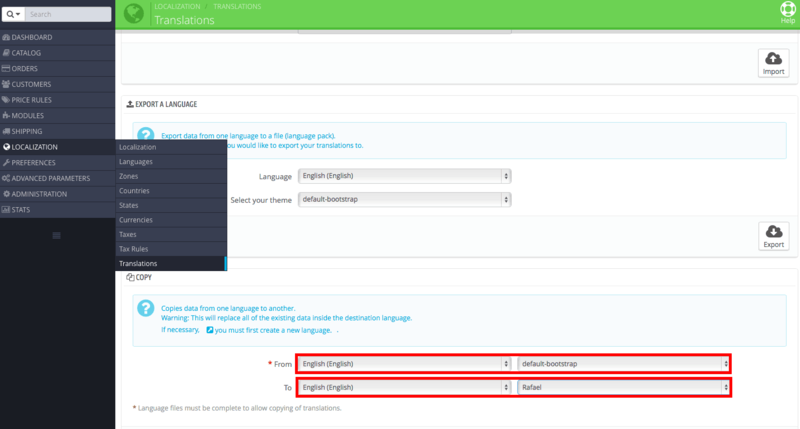 If the translations were correct with the default theme, try to copy them to the new theme manually. On the screenshot you can see English, but in your case choose your desired language. How can I set Theme configurator? How can I manually change the background image?